Most people have heard of "The Uncanny Valley" by now. I've heard people refer to it in two contexts in the animation industry: characters that are almost lifelike but are just enough off to be creepy, and stylized/cartoon characters who have an off-putting amount of realistic detail. I want to talk a little about the second one because I've run into it more often recently when artists have asked me for critiques. I don't think there is a hard and fast rule for this type of uncanny valley. 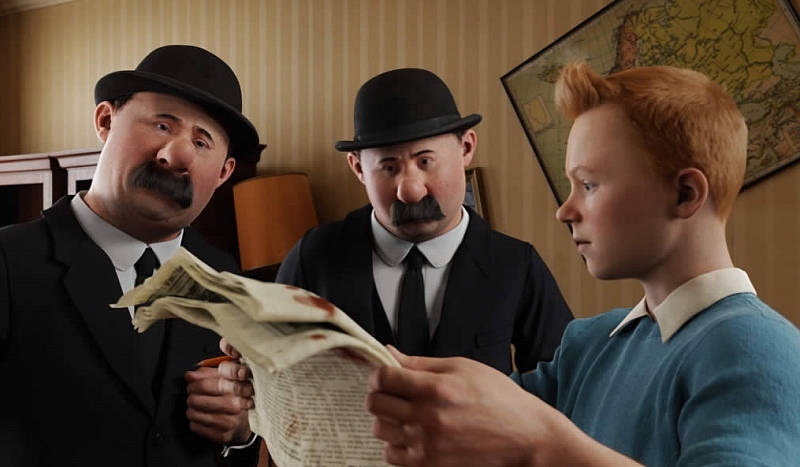 When I watched The Adventures of Tintin, at first I was really bothered by the cartoon characters with realistic eyes and hands. But by the end of the film I was engaged enough in the story that I didn't notice so much anymore. I suspect that a lot of our reaction to the uncanny valley is a bias that can be broken down with repeated exposure. However, until the kids who prefer a Robert Zemeckis zombie-fest become the norm, artists who want to add realism into the animation industry are going to have to be sensitive to the issue. Most audiences like detail and realism, so there's nothing wrong with trying to push things that way. But how far can you go before you start alienating people? For a character with cartoon proportions, the complexity of the forms and surface details are both factors. In my experience, the most important form details for navigating the the uncanny valley seem to be the eyes and the nose. Make the eyelids too defined, and the character will fall apart. Visible skeletal structure on the hands and feet are a good target for abstraction as well. 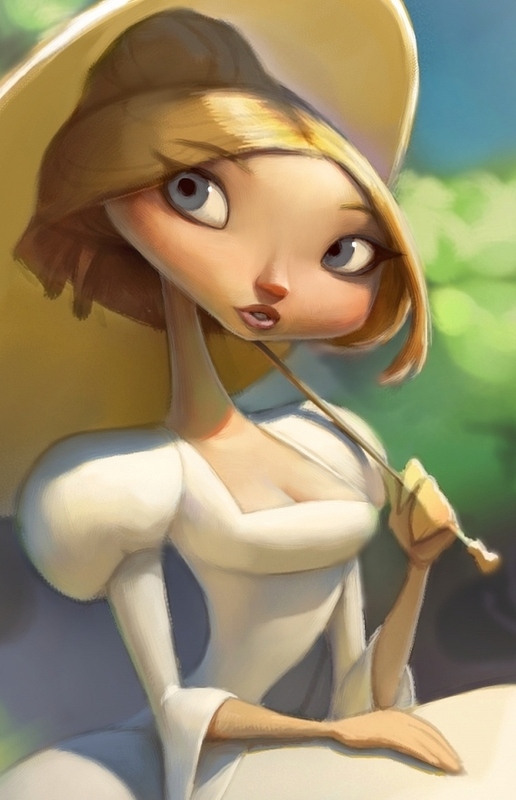 Realistic forms on the ears and lips might be distracting, but don't seem to "break" the character in the same way as the other features. Does this mean you can never define the forms around the nose? Not necessarily. A good rule of thumb is to ask, "Do I want people to stare at this feature?" Because people's eyes will be drawn to any unusually detailed part of a stylized character. If the part they are staring at informs them about the character, then that can be a good thing. But if the nostrils aren't particularly important, then your design might be better off without them or at least without some of the structures surrounding them. Of course, some of you might look at my three examples above and think that the third version is just fine, while others might feel that the middle version is already descending into the uncanny valley. What is okay depends on your audience and what you're trying to say with the style (grotesque is sometimes good). I did a demo at the LAAFA booth a couple years ago and then forgot completely about it. I think I might finish it off but there's a lot of work outside this crop area.